As some of you may have heard over the weekend, current Ring of Honor World Champion Tyler Black has signed a developmental contract with the WWE. He will be assigned to their Florida Championship Wrestling promotion starting in September. 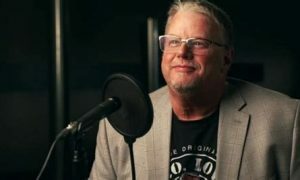 As a huge ROH fan as well as the resident “ROH guy” here at camelclutchblog.com, this news struck me very hard. After thinking about it a little bit, I was compelled to sit down at the old laptop and put down my thoughts. In fact, I was so torn by my feelings that I wrote two separate articles, one pro and one con. While I understand his reasons for leaving ROH, I am also a fan. And if I look at this move as the wrestling fan that I have been for thirty years, then it is hard for me to come to any other conclusion than this is a bad move for Tyler Black to make…for several reasons. He’s Won All The ROH Titles…So What! Since making his debut in 2007, Black has been on the fast track to success. As a member of Jimmy Jacobs’s heel faction The Age of the Fall, Black won the ROH World Tag Team Championship on two occasions. But they only held the titles for a combined 132 days. Of the 19 teams that have been champions, their reign ranks tenth all time. Not really overwhelming stuff. After turning face and splitting from Jacobs, Black began to chase after the World title. In February of this year he finally captured the ROH World Championship from Austin Aries and has successfully defended it ever since. His reign as World Champion is 176 days and counting, which is only good enough for seventh place among the twelve men to have held the belt. Obviously Black is a very talented wrestler, but at only 24 years of age he is a virtual baby in the business. Winning a title and learning to be a champion are two very different things. 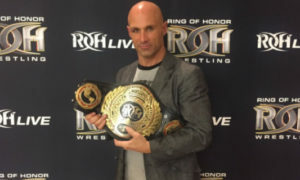 Two years ago on Pro Wrestling Radio, “Fallen Angel” Christopher Daniels identified Black as the next breakout ROH star. I’m not disagreeing with him, I’m just saying he isn’t ready yet. Tyler Black has amazing natural athletic ability that he has relied on over the years to make up for his lack of experience. His finisher, God’s Last Gift, is a cradle piledriver that is a very innovative move. But he still needs to develop more of an arsenal if he wants to avoid being a one trick pony. He has battled some of the best that the independent circuit has to offer and he has fared well against them. It stands to reason then, that he could have only benefited from continued matches with the likes of Christopher Daniels, Roderick Strong, and Davey Richards. His microphone skills have improved with his increased exposure and air time. He is more self confident then he used to be, but he still sometimes lacks charisma. 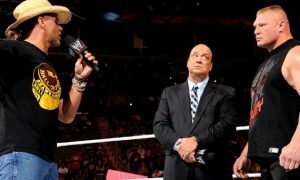 Think of how awkward Cody Rhodes or Jack Swagger sounds sometimes on the mic. I don’t want to see Black suffer the same ridicule as those two. 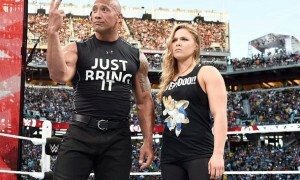 Why Become Another Cog In The WWE Machine? Very rarely does the WWE take a talent from another organization and just bring them right in as is. They need to be repackaged into the WWE mold. Perhaps a new gimmick, a new look, almost certainly a new name for merchandising reasons. That is part of the bargain, part of the deal one makes with the devil. Plus the new wrestler needs to pay his “dues” to the great WWE god. Unless you are some seven feet tall 350 pound behemoth, which Black is not, you will almost certainly have to job out for awhile before being allowed to shine. See Bourne, Evan. I guess the allure of the big time makes it all worth it. But I say, why play the game? You already have a home in ROH where you are respected and admired. Sure it might not be the biggest most expensive home. And maybe the neighborhood isn’t as nice as Greenwich Connecticut. But sometimes it can’t just be about the money, which leads me to my last point. Let’s face it, for all of its flaws, the WWE is still the top dog. If this was baseball, the WWE would be the New York Yankees and ROH would be the Pittsburgh Pirates or Kansas City Royals. Once one of those teams develops a good young talent you know it’s just a matter of time before that player jumps at the chance to make the big money in the Big Apple. Every once in awhile a special player comes along. Every once in awhile a Joe Mauer says thanks but no thanks I’ll stay where I’m at. Now look, I’m not one to begrudge anybody making a living, especially professional wrestlers. I have been to ROH shows at The Arena in South Philly. It’s cramped, it’s hot, and there are about 300 people in attendance…on a good night. These guys go out night after night and bust it for the fans. You look at the work rate for an ROH main event versus a RAW or Impact main event and it isn’t even close. So I have the utmost respect for those guys. I understand the carrot being dangled in front of them. Who wouldn’t want to be on a highly rated television show that gets 10,000 to 15,000 paying customers week after week? Who wouldn’t want to see their face on all those t-shirts at the merchandise stands? I understand all that, so before you start calling me a communist, socialist, liberal, whatever, I get it okay. All I’m saying is that sometimes you have to do the right thing for the greater good. As wrestling fans we all love to sit on our soap box and rant and rave about how poor the quality of WWE and TNA programming is these days. But do you do anything about it? Do you support your local independent promotions? Do you follow the guys who wrestle in gymnasiums and bingo halls for pennies compared to their WWE brethren? I don’t have anything personal against Tyler Black for leaving ROH. He’s not the first and he certainly won’t be the last. This is America, he is free to do whatever he wants. But just because something is a smart “business” move, it doesn’t mean that it is a move that is smart for the “business”.